Despite the fact that India’s economy looks like pure chaos in comparison to China, whereby the government barely has the right statistics to make proper policy decisions, in the long-run it’s probably the larger growth story. India requires “physical capital in the form of infrastructure that can be provided by both by public and private investments or private-public partnerships,” Roubini said. The South Asian nation also needs to invest in human capital, innovation and land reform and “maintain social stability,” he said. “China might be facing a greater challenge in maintaining its double-digit growth rate than India is facing in achieving a double-digit growth,” he said. 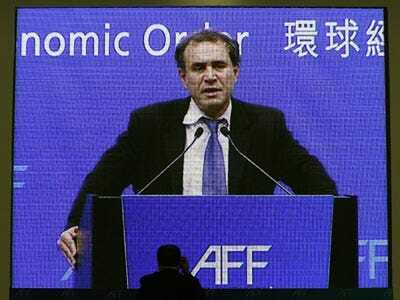 Roubini favours the “more balanced economy of India” over China. India’s economy could grow over 8% this year, which would be the fastest pace in two years, while China’s grew 10.7% in Q4 of 2010. While it’s not the most likely scenario, it is feasible that Indian growth cold overtake China’s within the next few years should China slow and India maintain its current clip. So keep an eye on it.